I took this picture near the end of my walk with Ellie this morning, shortly before my wife and I went to see the new Star Wars movie. 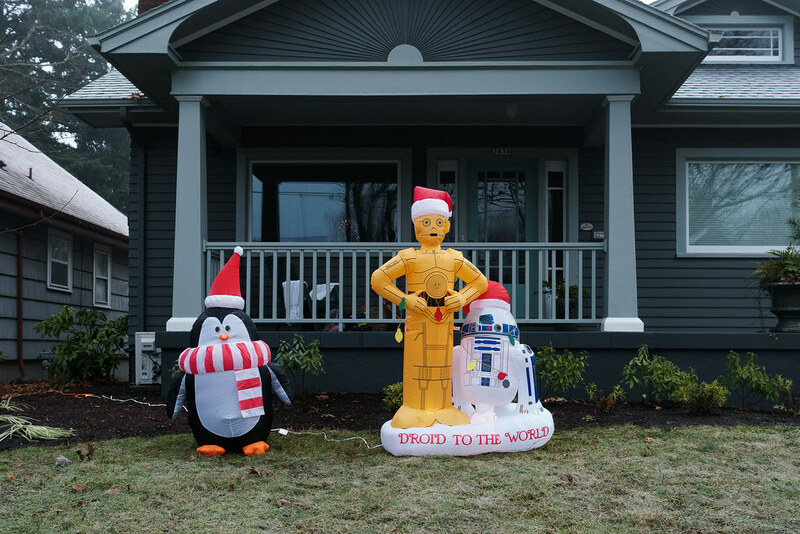 This entry was posted in Street & Travel and tagged Christmas, Irvington, Oregon, Portland. Bookmark the permalink.